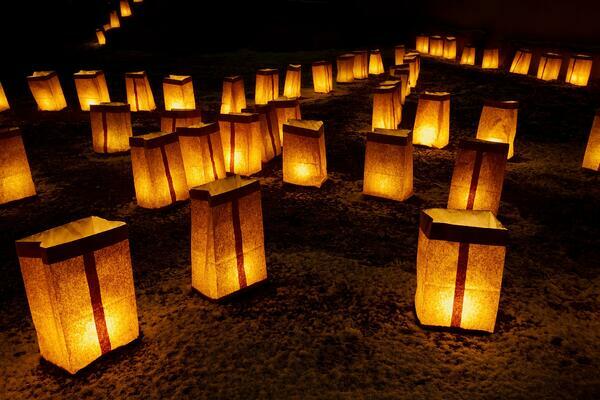 Arbor Terrace Mountainside is excited to host a Luminaria Ceremony on November 7 to honor those who suffer from Alzheimer's disease and other forms of dementia. Over the years, we've seen that memory loss means something different to everyone. We thought is was important to find a special way to share these unique stories, as well as pay tribute to a cause that we hold so close to our hearts. During the event, we will light individual luminaria bags for those who suffer from memory loss, share each person's unique journey, and create lasting memories among family and friends. If you would like to honor or remember a loved one during the event, you may purchase a luminaria bag for $10. All proceeds will be donated to Alzheimer's New Jersey. It is not required that you attend the event to participate. Wednesday, November 7 • 5:30- 7:00 p.m.
RSVP by November 1 by clicking here or calling (908) 505-6115. Arbor Terrace Mountainside is the newest addition to the Arbor family of senior living communities and offers individualized, compassionate services, including assisted living and memory care. At Arbor Terrace Mountainside, we don't believe in labels. Instead, we believe in giving seniors the best services regardless of where they are in the course of their retirement. Part of that service is giving our residents the freedom to do what they want to do, when they want to do it. Our location near golf, shopping and our onsite experiences empowers our residents to continue living life to the fullest. We are committed to offering exemplary assisted living and memory care services and ensuring each and every resident’s needs are cared for in personable, engaging and dignified ways. Come take a tour of Arbor Terrace Mountainside and experience the difference for yourself! Can’t make it to the ceremony? We'd love to show you around—Schedule a tour!